Doing a signature analysis of a signal used to require an oscilloscope to display your results. 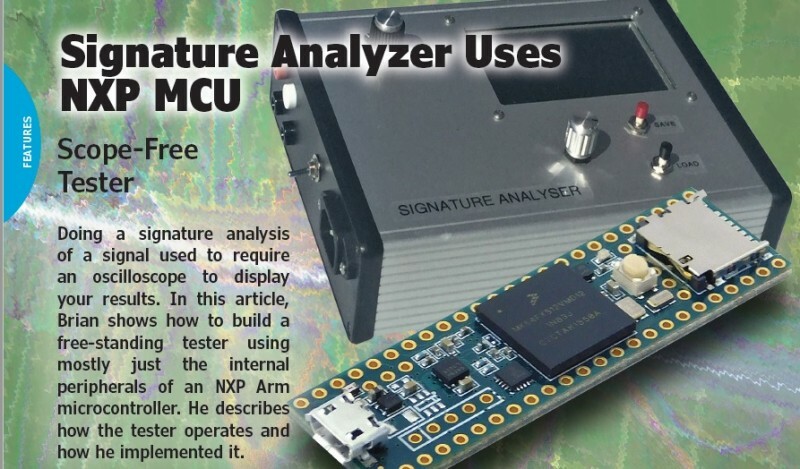 In this article, Brian details how to build a free-standing tester using mostly just the internal peripherals of an NXP Arm microcontroller. He describes how the tester operates and how he implemented it. When I was a teenager starting out in electronics, I longed to have as much test equipment as possible. At that stage in life, I couldn’t afford much beyond a multimeter. 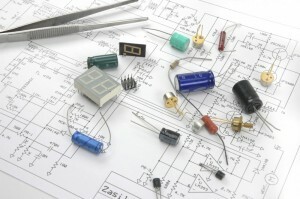 I remember seeing plans for a component tester in an electronics magazine. There weren’t many hobby electronics magazines back in the ‘60s, so it was probably Popular Electronics. This tester would provide a “signature” of most passive/active components by placing a small AC voltage across the component and measuring the resulting current. My memory of the circuit is hazy after all these years, but it was trivial: a 6.3 V filament transformer, a current sensing resistor and a few other passive components. However, the catch was that it required an oscilloscope to display the resulting voltage vs. current plot—in other words, the component’s signature. 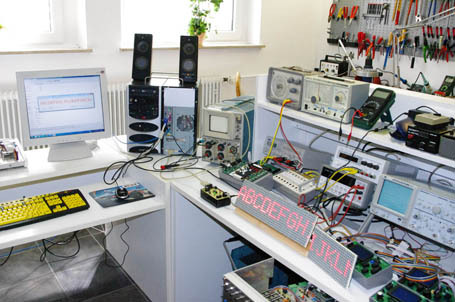 By the time I bought an oscilloscope about 10 years later, I had completely forgotten about this testing concept. I realized that I could implement such a free-standing tester using, in large part, just the internal MCU peripherals. 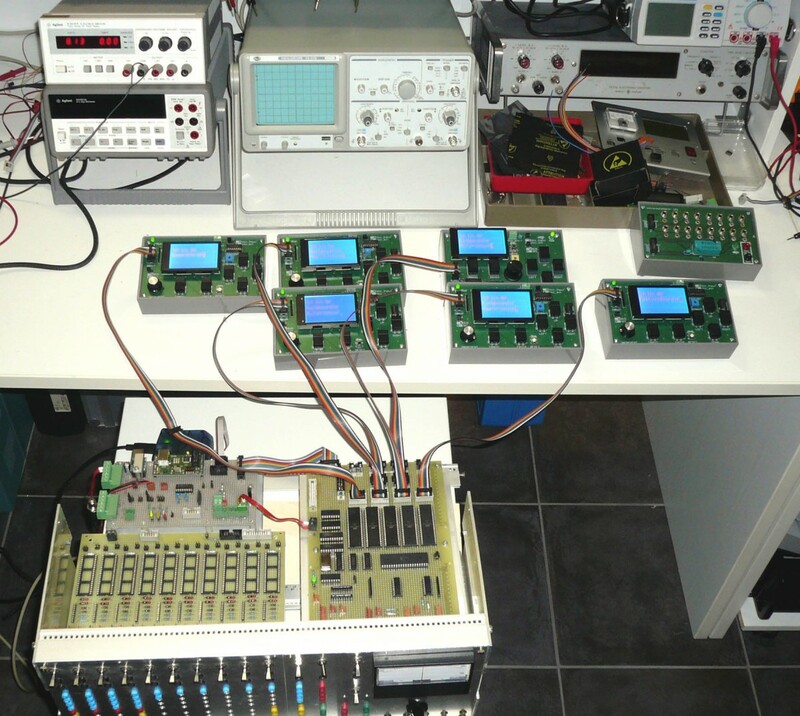 In this article I’ll describe how the tester operates, and how I implemented it using a Teensy 3.5 development module (containing an NXP MK64FX512VMD12 MCU) and featuring a FT800-based intelligent 4.3″ TFT touch-screen display. To obtain a signature of a given component, you need to place a variable voltage across it and measure the resulting current through it, at each voltage level. In many cases, the component’s normal operating mode will include both positive and negative voltages across it, so the tester must provide an AC voltage source. For most testing purposes you would use a sine wave voltage source because most AC calculations are done using sine waves. The value of this AC voltage source must be adjustable. I decided on six ranges between 0.5 V peak-peak and 20 V peak-peak. 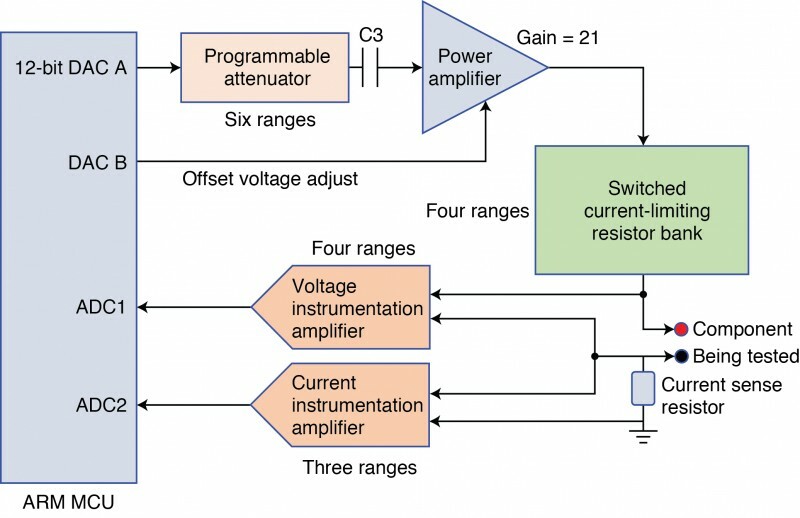 For measuring the voltage across the component, I used an instrumentation amplifier with three hardware gain ranges—plus three additional ranges based upon scaling in software. To monitor current, it’s easiest to measure the voltage across a small value resistor placed in the ground return path, and then convert that to current using Ohm’s Law. Here too you need a range of current measurements. I chose to provide three hardware ranges—plus four additional ranges based on software scaling—between 1 mA and 100 mA. You can’t just place an AC voltage of any given value across a component, and hope that the component will be able to handle that current without damage. You must place a resistor in series with the component to limit the current flow. That resistor may need to vary in value over several decades, depending on the component being tested. In my tester, I provide a switchable resistor bank with values covering a 1,000:1 range in decade steps. Figure 1 is a block diagram of the basic tester circuitry. The user interface, touch-screen display and SD card data storage are not shown here. The MK64FX512VMD12 MCU’s 12-bit DAC A provides a sine wave signal that varies between 0 and 1.2 V over the full AC cycle. The programmable attenuator is an SPI pot device with 12-bit resolution. C1 is a decoupling capacitor, which shifts the (attenuated) unipolar DAC A output signal into a bipolar AC signal. This AC signal is amplified by a factor of 21 by an LM675 power amplifier IC. DAC B, along with some passive components, provide a software-adjustable offset voltage adjustment. The LM675 amplifier is needed to provide enough drive current to handle the higher current ranges—up to 100 mA. This is a block diagram of the AC signal generation and Voltage/Current monitoring circuit. 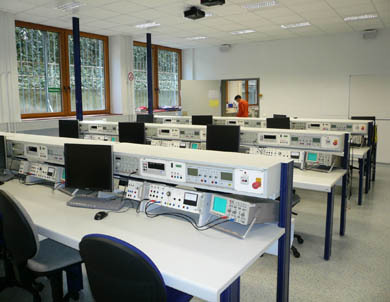 Both the voltage and current are monitored using Texas Instruments (TI)instrumentation amplifier ICs. These contain input protection circuitry good to ±40 V. The various gains needed for both amplifiers are set by 1% resistors, which are switched by miniature reed relays. The instrumentation amplifier output voltages, representing voltage and current through the component under test, are fed to the two 16-bit ADCs present in the NXP MK64FX512VMD12 Arm MCU. The sine wave signal generated by the MCU can be set for frequencies of 20, 50 ,60, 100, 200 or 400 Hz. 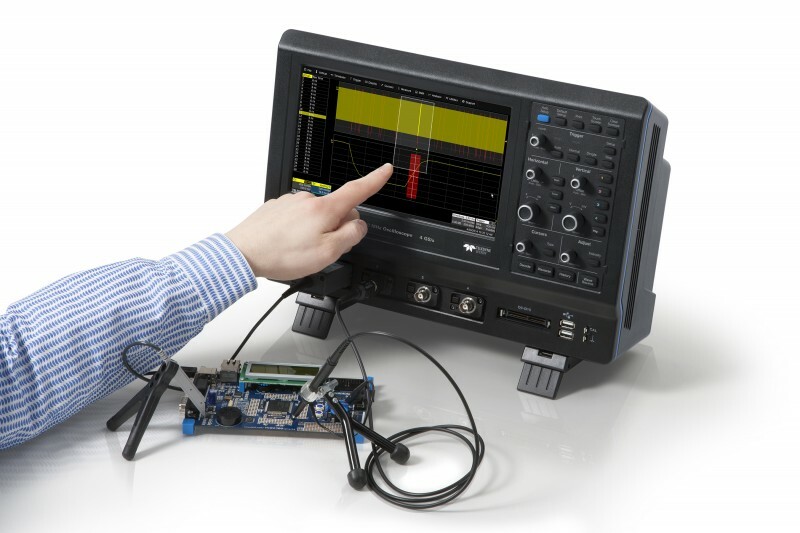 The TiePie engineering recently introduced a new four-channel, high-resolution, USB 3.0 oscilloscope. Featuring TiePie engineering’s SafeGround technology, the Handyscope HS6 DIFF is available in models with sampling rates from 50 MSps up to 1 GSps. 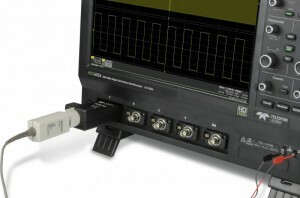 SafeGround enables you to use the oscilloscope inputs both as single ended and as differential. When SafeGround is active and you accidentally create a short circuit, SafeGround disconnects the ground of the input channel without damaging the oscilloscope or PC. Teledyne LeCroy recently launched the HDO9000, which uses HD1024 high-definition technology that automatically optimizes vertical resolution under each measurement condition to deliver 10 bits of vertical resolution. 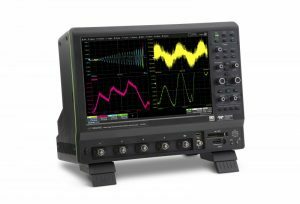 Featuring a bright 15.4” capacitive touch screen, the HDO9000 oscilloscopes offer 10-bit resolution, bandwidths of 1 to 4 GHz, and sample rates of 40 GS/s. The HDO9000 and MAUI with OneTouch enables you to perform all common operations with one touch of the display. HD1024 high-definition technology provides 10 bits of vertical resolution with 4-GHz bandwidth. The mixed signal (-MS) models have 16 digital lines for trigger, decode, and measurements for analyzing timing irregularities or for general-purpose debugging. Several optional software packages are available to equip HDO9000 for all validation and debug requirements ranging from automated standards compliance packages to flexible debugging toolkits. The HDO9000’s prices range from $21,250 to $37,400. -MS versions of each model are available with 16 digital channel sampling at 1.25 GS/s for an additional $3,000. 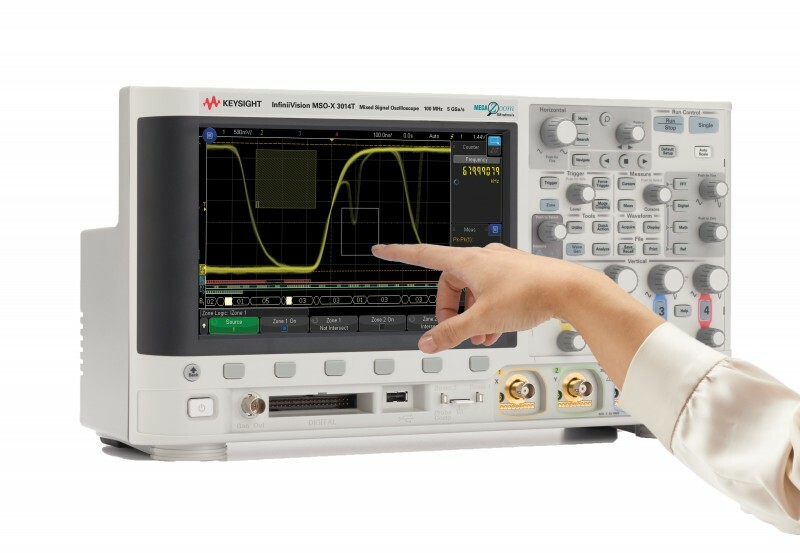 Keysight recently announced it is running hands-on, test instrument workshop for design and test engineers.The workshop series (February 2–June 24) will be held in the United States and Canada. 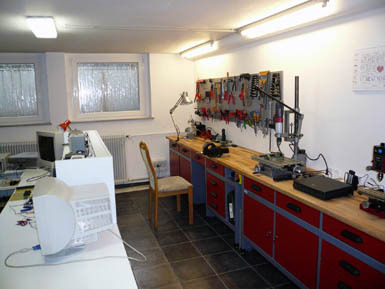 The workshop is intended to focus on top test challenges with seminars and instructors leading demonstrations and lectures. Attendees can use high-performance and general-purpose oscilloscopes, RF signal analyzers and sources, RF network analyzers, AC/DC power analyzers, and bench instrumentation. In addition, attendees will receive a course completion certificate and will be entered into a drawing for a free U1273A 4.5 digit, OLED display hand-held digital multimeter with a U117A Bluetooth adapter. 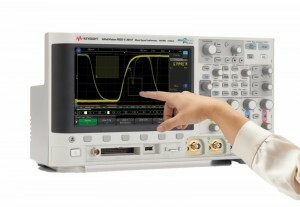 More information about the free workshop and registration, visit www.keysight.com/find/testdrive. Teledyne LeCroy recently announced the availability of the QPHY-HDMI2 and QPHY-eDP, which expanded its automated transmitter test solutions for display standards to include HDMI Version 2.0 and Embedded DisplayPort. 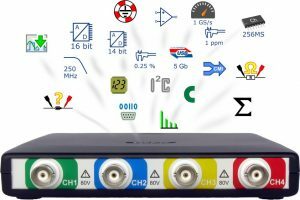 The QPHY-HDMI2 software option for the WaveMaster/SDA/DDA 8 Zi series of oscilloscopes provides validation/verification and debug tools in accordance with version 2.0 of the HDMI electrical test specification. The QPHY-eDP software option for the WaveMaster/SDA/DDA 8 Zi series of oscilloscopes provides an automated test environment for running all of the real-time oscilloscope tests for sources in accordance with Version 1.4a of the Video Electronics Standards Association (VESA) Embedded DisplayPort PHY Compliance Test Guideline. QPHY-eDP supports testing at up to 5.4 Gbps for full coverage of all bit rates included in the eDP 1.4 compliance test guideline. As with QPHY-HDMI2, optional RF switching and de-embedding is also supported by QPHY-eDP. The QPHY-HDMI2 and QPHY-eDP each cost $7,000. Both are available on WaveMaster 8Zi, LabMaster 9Zi, and LabMaster 10Zi oscilloscopes with bandwidths of 13 GHz or higher and running firmware version 7.9.x or later. Teledyne LeCroy has introduced two new adapters to support third-party probes and current measurement devices. 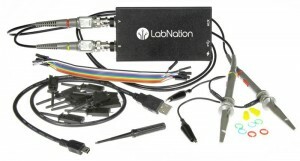 The TPA10 TekProbe Probe Adapter adapts a wide variety of Tektronix voltage and current probes. The CA10 Current Sensor Adapter adapts a wide variety of third-party current measurement devices. Both connect to the Teledyne LeCroy ProBus probe interface that’s on most Teledyne LeCroy oscilloscopes. 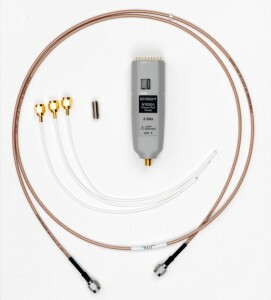 The TPA10 TekProbe Probe Adapter enables you to connect select Tektronix TekProbe interface level II probes to any ProBus-equipped Teledyne LeCroy oscilloscope. It automatically detects the Tektronix probe, supplies power and offset control to the probe, and then communicates the probe signal to the oscilloscope. Supported probes include many popular Tektronix probes, preamplifiers, current probes, single-ended active probes, and differential active probes. 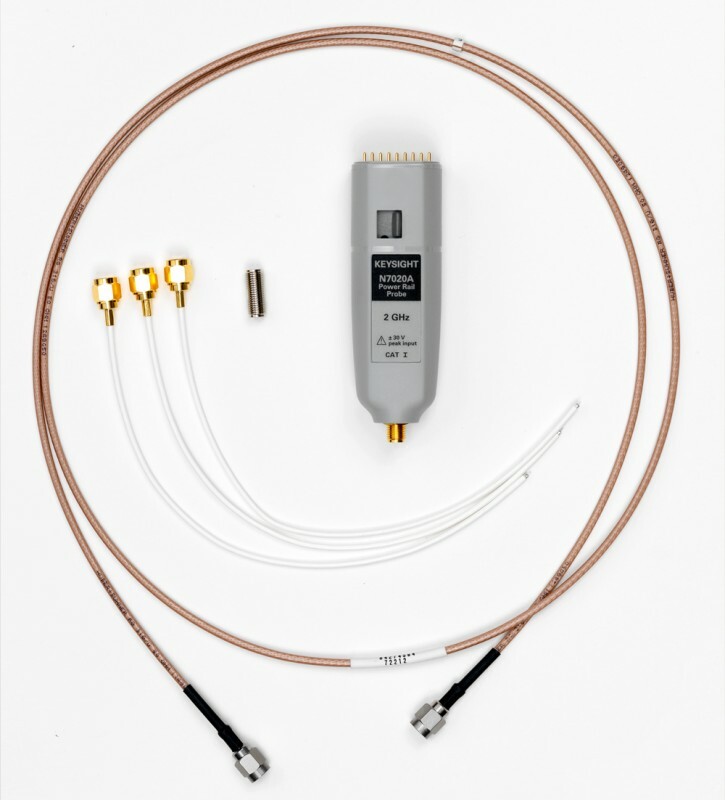 With the CA10 Current Sensor Adapter, a third-party current measurement device can operate like a Teledyne LeCroy probe. It is programmable and customizable to work with third-party current measurement devices that output voltage or current signals proportional to measured current. The CA10 also provides the ability to easily install physical hardware components (e.g., shunt resistors and bandwidth filter components). The TPA10 costs $950. The CA10 is $295. A QuadPak (four of each device) costs $3800 and $1180, respectively. The QuadPak includes a soft-carrying case to store the adapters. Delivery time for each item is four to six weeks. 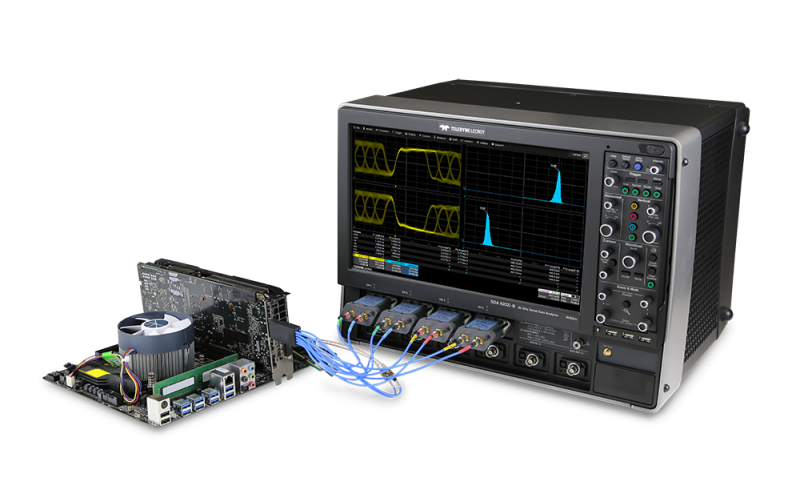 Keysight Technologies recently introduced the InfiniiVision 3000T X-Series digital-storage and mixed-signal oscilloscopes with intuitive graphical triggering capability. 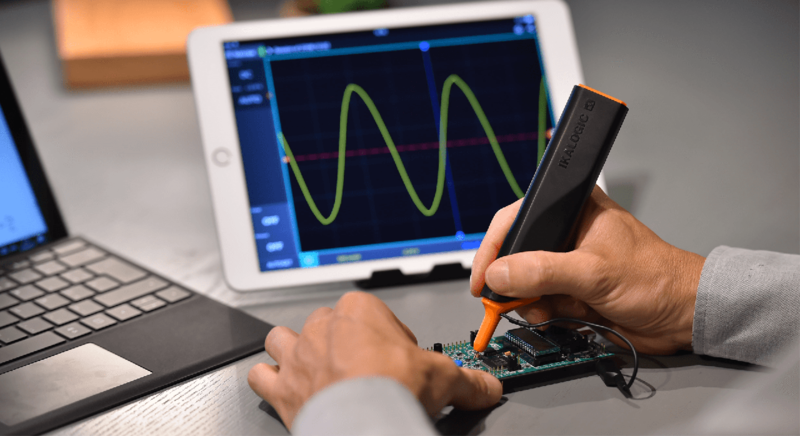 This new oscilloscope series delivers capacitive touch screens and zone triggering to the mainstream oscilloscope market for the first time. 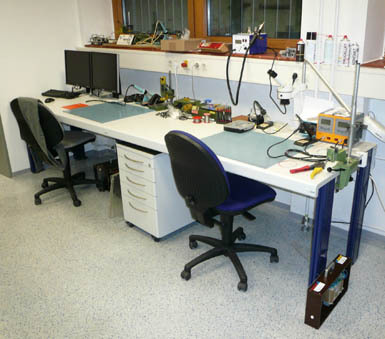 The scopes help engineers overcome usability and triggering challenges and improve their problem-solving capability and productivity. The new oscilloscope series offers upgradable bandwidths from 100 MHz to 1.0 GHz and several benchmark features in addition to the touch screen interface and graphical zone triggering capability. An uncompromised update rate of one million waveforms per second gives engineers visibility into subtle signal details. 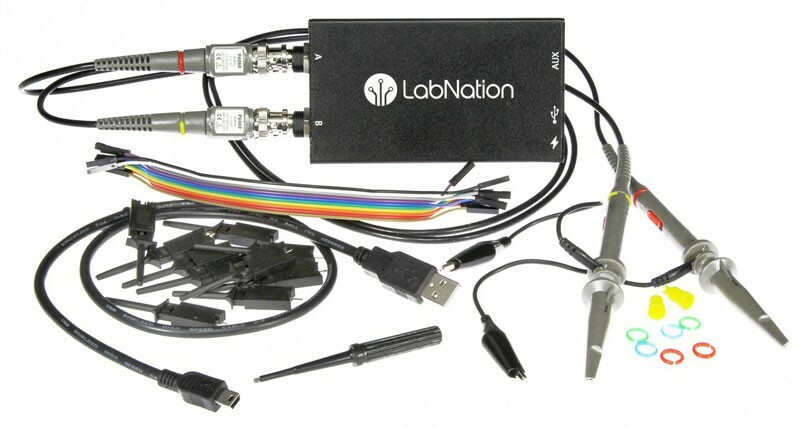 The series comes with six-instruments-in-one integration, including oscilloscope functionality, digital channels (MSO), protocol analysis capability, a digital voltmeter, a WaveGen function/arbitrary waveform generator, and an eight-digit hardware counter/totalizer. Finally, the 3000T X-Series delivers correlated frequency and time domain measurements using the gated FFT function for the first time in this class, to address emerging measurement challenges. The InfiniiVision 3000T X-Series includes 100-MHz, 200-MHz, 350-MHz, 500-MHz and 1-GHz models. The standard configuration for all models includes 4 Mpts of memory, segmented memory, advanced math, and 500-MHz passive probes. Keysight InfiniiVision 3000T X-Series oscilloscopes are now available starting at $3,350. Teledyne LeCroy recently introduced the WaveSurfer 3000 series of oscilloscopes. The series features the MAUI advanced user interface, which “integrates a deep measurement toolset and multi-instrument capabilities into a cutting edge user experience centered on a large 10.1” touch screen,” the company stated in a release. Bandwidths from 200 MHz to 500 MHz, with 10 Mpts/ch memory and up to 4 GS/s sample rate. The WaveSurfer 3000 is available in four different models (200 MHz, two-channel to 500 MHz, four-channel) with prices ranging from $3,200 to $6,950. 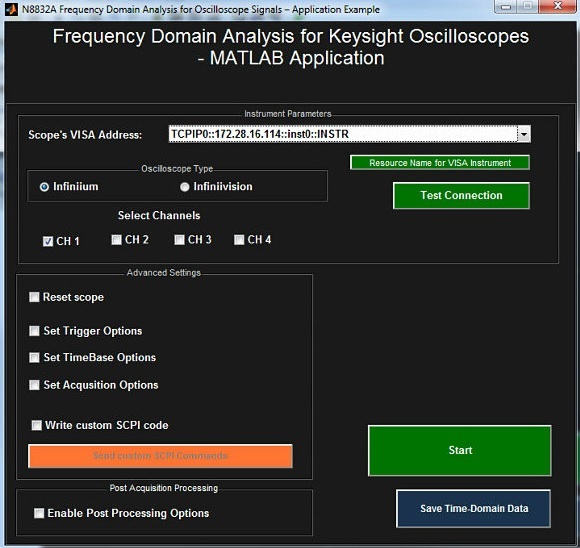 Keysight Technologies recently announced the availability of a frequency domain analysis (FDA) option, a user-extensible spectrum frequency domain analysis application solution for real-time oscilloscopes. The FDA option extends the capabilities of Keysight Infiniium and InfiniiVision Series oscilloscopes by enabling you to acquire live signals from the oscilloscope and visualize them in the frequency domain, as well as make key frequency domain measurements. Option N8832A-001 includes the application, the application source code for user extensibility, and MATLAB software. These tools enable you to extend an application’s capabilities to meet their current and future testing needs.